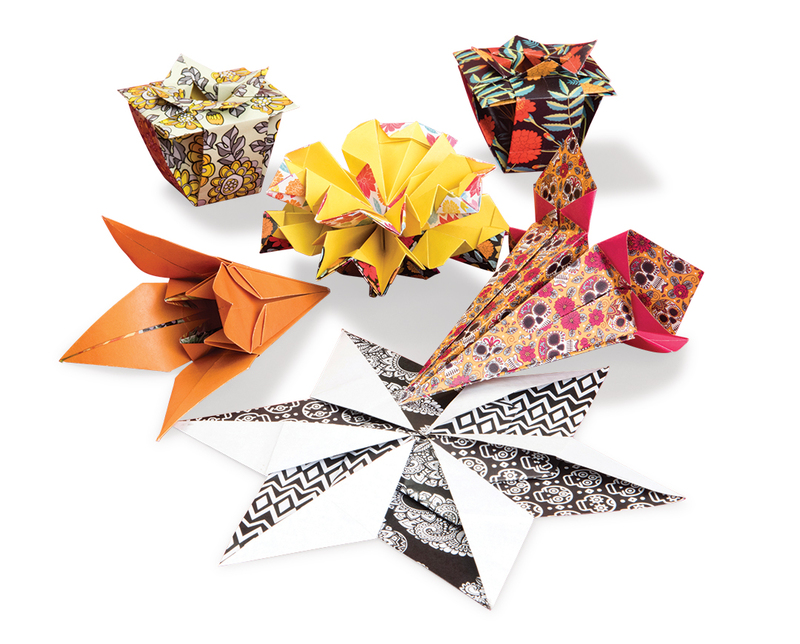 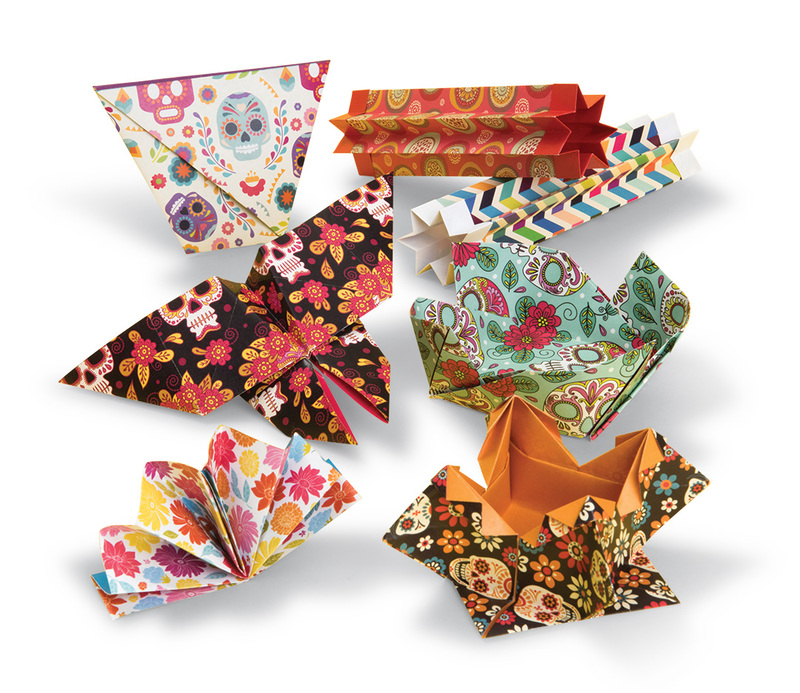 Arriving in plenty of time (September 1st) for the autumn crafting season, here's Day of the Dead Origami a kit from Australian publisher Hinkler Books. 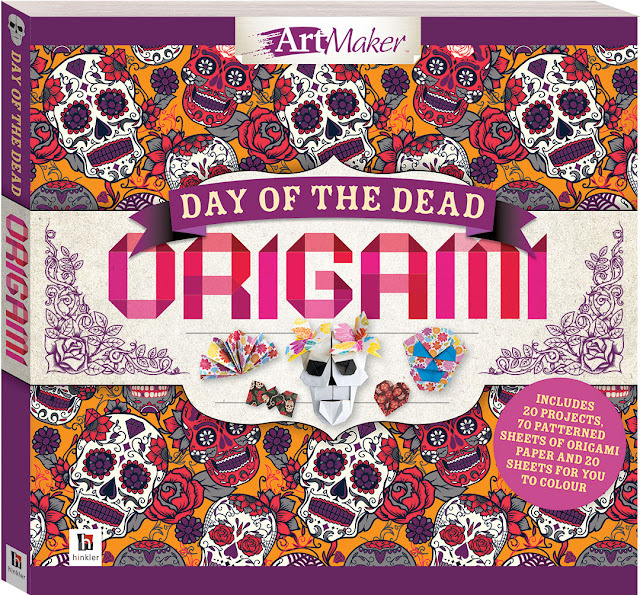 "Bring the beauty, colour and vibrancy of the Day of the Dead festival to life with this instructional origami book. 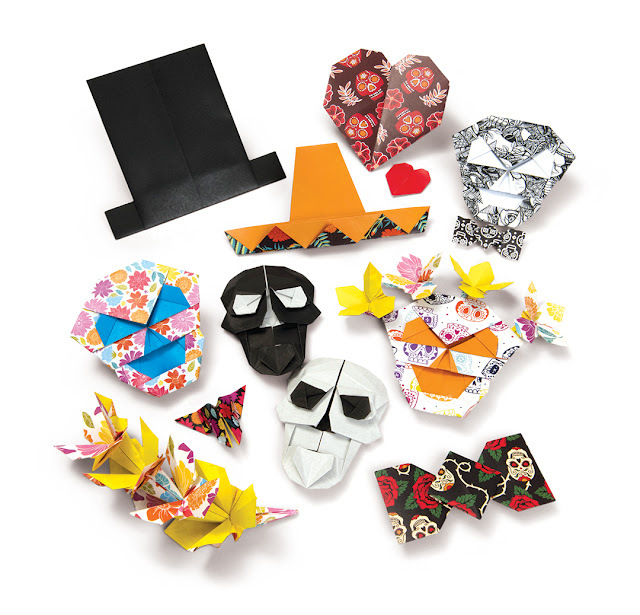 Inspired by the Mexican holiday Día de Muertos (Day of the Dead), this book will guide you through 20 origami designs, including striking skulls, beautiful marigolds, a Spanish box and more!" 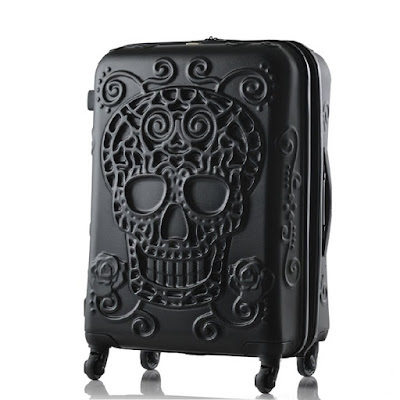 This is mostly flowery and not very morbid, but I thought I'd share it with you anyway in case some of you are obsessed with El Dia de Los Muertos!